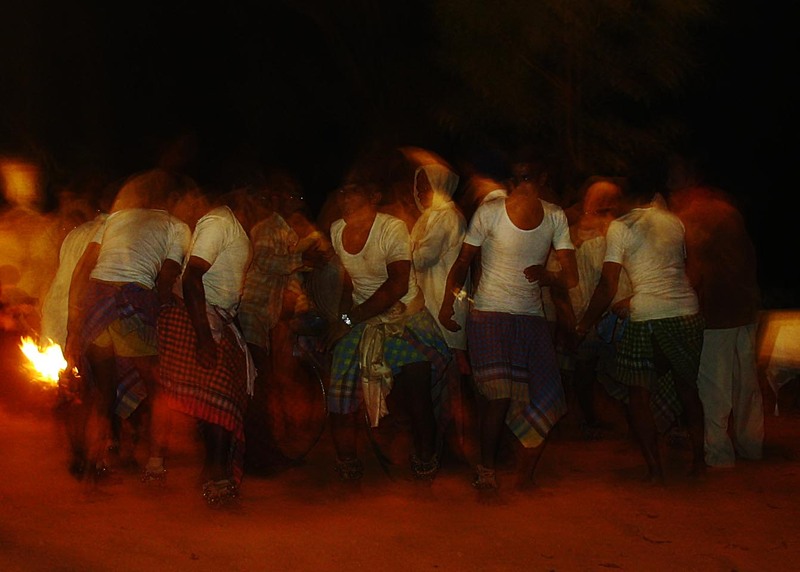 These are photographs of villagers (tribals or adivasis) dancing a tribal dance. It is not a fancy stage show, but an informal performance with the dancers in their daily clothes. 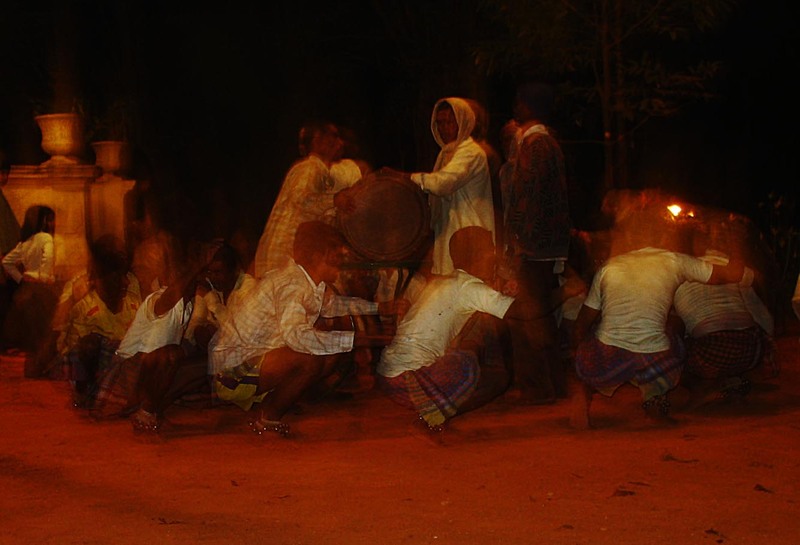 They sing along with the dance and the music is played by one of their own, with a wind instrument and drums. The songs are folk songs about daily village life. 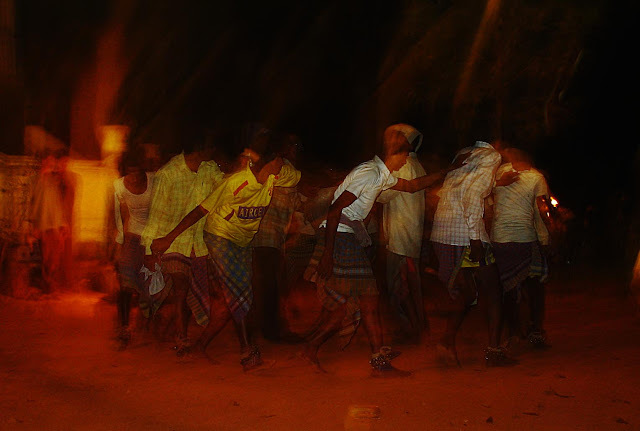 The dances are vigorous and the movements very fast indeed, difficult to capture from an ordinary camera. There were young people dancing along with older ones. The dancers are all male, and that is the difference from how it is in real life. In actuality both men and women dance.